Black Friday is going to the dogs. And the cats. 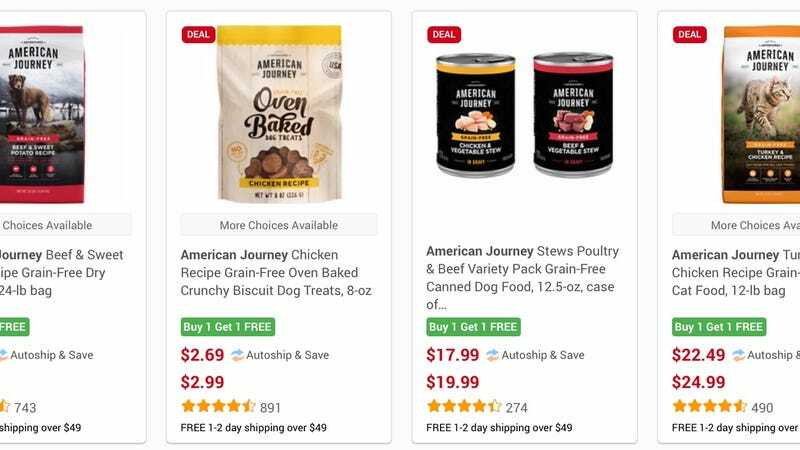 For a limited time, a bunch of varieties of American Journey brand pet food and treats are buy one, get one free. You could buy your pets some toys on Black Friday, but let’s be honest, they’ll like the food more. Note: My veterinarian wife warns against grain free food, as it’s thought to cause heart issues in some pets, but there are non-grain-free options available as well.